Sunshine Cruz is happy that it is finally happening. 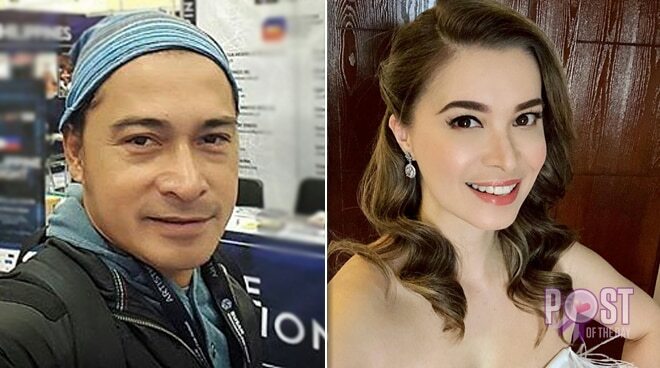 Sunshine Cruz happily shared on her personal Facebook account that the Quezon City court remained firm with the decision to push through her annulment case with actor Cesar Montano. The QC court junked the motion for reconsideration filed by the Office of the Solicitor General (OSG) to reverse the decision to nullify the marriage. “April 4, 2014 (5 years ago) I filed for the annulment of my marriage. September 17, 2018 QC court granted it pero hindi pa natapos dun dahil nag motion for reconsideration (MR) ang associate solicitor ng OSG (Office of the Solicitor General),” Sunshine shared. “April 3, 2019, I received a good news. I learned that the MR filed by OSG was DENIED. Thank you Lord! Finally! Totoo na talaga! It was not easy and it took us 5 years but I finally got what I wanted and what I deserve,” she added. In another post, Sunshine admitted that this journey has never been easy for her. “It was emotionally, mentally and physically draining. After 5 long years I finally got what I truly deserve. I extend my gratitude to the people who made this possible. My lawyers, my family, relatives, friends and to my children who never left my side and gave me the strength I needed to get through this chapter,” she wrote. Sunshine and Cesar tied the knot in 2000 and have three daughters—Angelina Isabelle, Samantha Angeline, and Angel Franchesca.